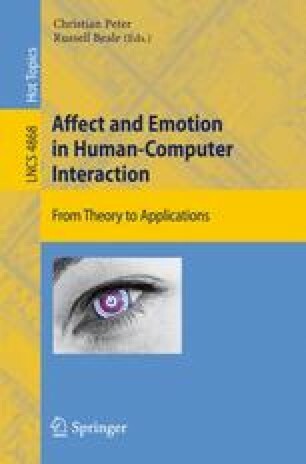 This paper describes an user experience study of a particular ‘affective widget’ - called a ‘moodie’. This onscreen device helps to paint an emotional picture of the day of a contact centre employee. These users undertake work that can be classified as ‘emotional labour’  - in other words they may have to express emotions whilst on a customer telephone call that they may not necessarily feel, both about the customer and the technology that they are using to mediate the conversation. This often leads to user stress, a poor customer experience and high staff churn. Moodies were designed as part of a prototype interface called a Motivational User Interface (MUI). They were created as a way of expressing and self reporting the emotional responses that users feel throughout the day. These prototype affective widgets were then evaluated by contact centre employees and their managers.